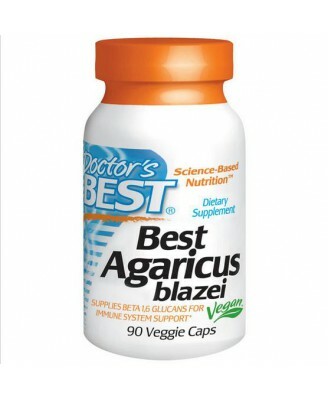 Agaricus blazei is a medicinal mushroom that contains a special class of polysaccharides known as "beta glucans." Studies show beta glucans stimulate activity of natural killer (NK) cells, which are an important part of the immune system. 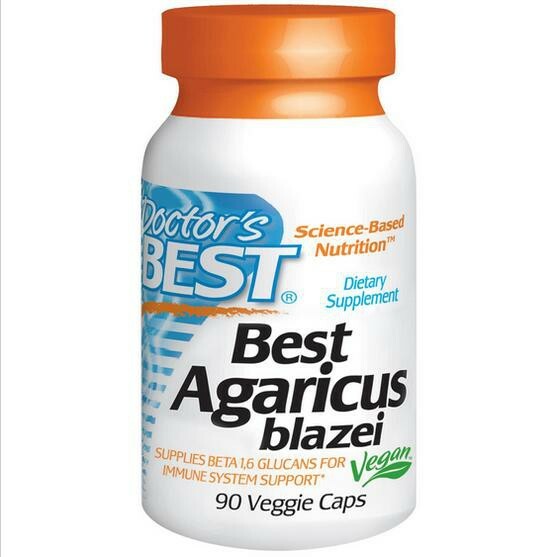 The Agaricus blazei in this product is extracted with the preferred hot water/alcohol method to increase its digestibility and enhance bioavailability of the polysaccharides. Originally discovered in Brazil, Agaricus blazei is widely consumed in many countries, where it is regarded as a health food, due to its medicinal properties. 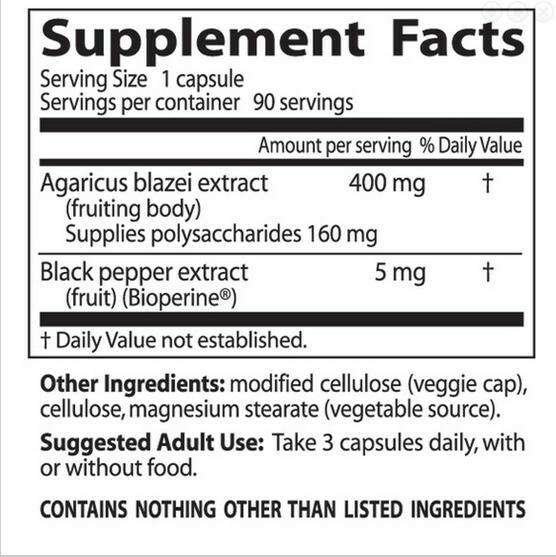 Modified cellulose (veggie cap), cellulose, magnesium stearate (vegetable source).